Many users have encountered some kind of issues with the mail app in their iPhone. If you are one of the users who cannot get mail because the connection to the server failed on iPhone, then you might be searching for a reliable solution. Luckily, here we have gathered not just one but 9 different solutions to fix this issues. In this article, you will learn how you can resolve the "iPhone cannot get mail" error quickly and easily. You can either try one method or try them all and test which one works out for you. If the email is not working on iPhone, then the first thing you should do is force quit the app. the force-quitting is very simple. Double click on the Home button and all the apps that are running in the background will appear. Swipe away the mail app to close it. The reason your iPhone cannot get mail might be the issue in the network. So, when you are logged in to the mail app, open the Inbox and pull down the screen from the top. You will see a spinning icon in the space and the inbox will be refreshed and the chances are that your mail will be displayed in the inbox. Step 1 Open the Settings app and select the General settings. From the General menu, scroll down and look for reset option. Step 2 Then in the Reset option, tap on the Reset Network Settings and it will restore the current settings of the iPhone to the default settings. If the network reset also didn't work, then you can opt for a restart of your device. There are chances that some other might be behaving abnormal that could be leading to the issue. So, to fix iPhone error cannot get mail, try a simple restart of the device. For iPhone X and Later: Press the Side button and one of the volume buttons and hold it until the slider appears on the screen. Then drag the slider to the right and turn the device off. To turn it back on, again press the Side button until you see the Apple logo on the screen. For iPhone 8 or Earlier: For the earlier models, you should press and gold the Top or Side button until the slider appears. Then drag the slider to turn off the iPhone. Wait for few seconds and turn the iPhone back on by pressing and holding the Top or Side button of the device until the Apple logo appears. Step 1 Launch the Settings app and tap on General option. Then from the list, select the Software Update option. Step 2 If there is an update available for your device, then tap on the Download and Install option and wait for the iPhone to finish. Step 1 Launch the Settings app and go the Accounts and Passwords option from the menu. It will display all the mail accounts added in the iPhone. Step 2 Select the Email account for the mail and delete it. Then close the settings app and again access it to add the account to your iPhone. If the email not working on iPhone issue still persists, then there is one other method that you can try. You can perform a manual configuration of the server, port and authentication options of the device. Go to the web version of the mail developer and change the configuration, SMTP, and IMAP service in the settings and see if the problem is fixed or not. The best method that the users can try to resolve the issue is the Any iOS Repair software. The software has specialization in fixing the issues in the iOS devices. It can be used to simply enter and exit recovery mode and to resolve over 50 different kinds of working problems such as iPhone stuck at Apple logo, an app keeps crashing, the app not working, and many more. You can also use this method if your iPhone cannot get the mail. It will fix the issue without deleting any of your data files. Step 1 After you have downloaded and installed the software on your PC, run it and connect your iPhone with it. The software will detect the device. From the main interface, you will have to choose the Repair Operating system option. Step 2 Then download the firmware package for the iPhone model. The software will automatically identify the iOS version and provide a file compatible with the software. Download the file and move on to the next step. Step 3 As soon as the firmware is downloaded, you will be ready for the repair. Tap on the Repair Now option and the process will be initiated. 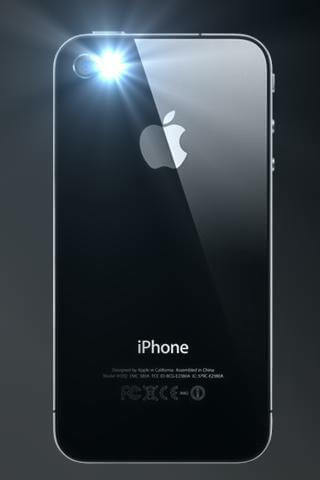 The repair will take some time and when it is completed, the iPhone will reboot and you can check your email. The problem will be fixed with all your iPhone data intact. Step 1 Launch iTunes on your computer and ensure that you have the latest version. Then connect your iPhone with it and allow iTunes to detect the device. Step 2 Now go to the Summary tab, and tap on the Restore iPhone option and reset your iPhone to factory settings and erase all data and content from it. As this will erase the existing files from the device it is recommended that you make a backup first so that you can restore the data from iTunes backup. 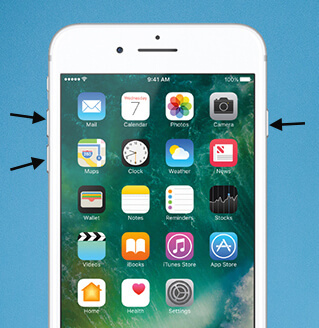 Hope you've solved the "cannot get mail" error on iPhone after trying these solutions. Apart from the basic simple fixes, repairing iOS system offers a more effective method to fix system issues without data loss.